GM to still report Canadian sales monthly; moves to quarterly in U.S. Since emerging from a quick bankruptcy in 2009, GM has attempted to woo Wall Street investors by expanding its operations as a service-based provider rather than a traditional auto manufacturer that solely relies on sales of new cars and trucks to drive revenue and profits. DETROIT -- General Motors will continue to report Canadian sales on a monthly basis even though the automaker is switching its reporting of U.S. auto sales from monthly to quarterly in an effort to give a more accurate view of its business operations. It’s a move that could ripple throughout the auto industry. GM is the first major automaker to change how it reports monthly light-vehicle U.S. sales results since the industry dropped 10-day reports in the early 1990s. It is a step certain to be considered by other automakers -- if it hasn't been already. "Thirty days is not enough time to separate real sales trends from short-term fluctuations in a very dynamic, highly competitive market," Kurt McNeil, U.S. vice president of sales operations, said in a statement. "Reporting sales quarterly better aligns with our business, and the quality of information will make it easier to see how the business is performing." GM cited monthly sales being subject to many issues that make them more volatile than quarterly sales, including product launch activity, weather, other seasonal factors, the number of selling days and incentive activity. 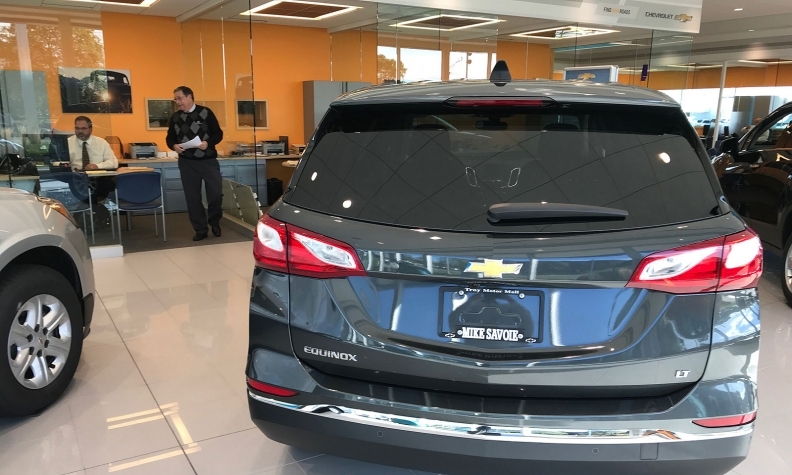 The change, which does not impact dealers reporting monthly sales to the automaker, was announced Tuesday ahead of GM releasing U.S. light-duty vehicle sales for March -- its last monthly report. It follows by five years a decision to stop reporting North American production data. Fiat Chrysler has followed suit on that front. GM, since emerging from its 2009 bankruptcy, has been attempting to woo Wall Street investors by expanding its operations as a service-based provider rather than a traditional auto manufacturer that solely relies on sales of new cars and trucks to drive its business. The company, according to officials, conducted due diligence prior to making the decision. That included analyzing nearly three years of stock trading data on sales days and researching how other industries and companies report sales. GM benchmarked companies such as Amazon Inc., Apple Inc., AutoNation, John Deere, Penske Corp., Walmart Inc. and Whirlpool Corp. -- all of which do not report sales on a monthly basis. California electric vehicle manufacturer Tesla Inc. also reports quarterly sales instead of monthly results. "GM gave this decision a lot of thought," said IHS Markit senior analyst Stephanie Brinley, adding this "wasn't a knee jerk" reaction to its sales or business operations. "Other automakers are going to have to take that same look." Michelle Krebs, executive analyst with Autotrader, said she wouldn't be surprised if other automakers followed GM in reporting on a quarterly basis. "I understand the reasons they are doing it," she said. "There can be a lot of fluctuation during a month." Krebs compared the newest change to the auto industry switching from 10-day sales reports to monthly sales in the '90s. "What happened was they decided to go monthly, and everybody did it," she said. "That would make me believe everybody is going to follow suit and follow GM's lead." GM's Canadian operations, according to company spokesman Jim Cain, will continue to issue monthly sales results. GM China -- the automaker's top-selling market -- will cease reporting on a monthly basis; however its joint ventures will continue to report wholesale volumes to government and industry associations. GM's operations in Brazil and Mexico will also continue to report sales to their respective associations. Cain declined to speculate if the company expects other companies will cease reporting sales on a monthly basis. "With respect to competitors, we're doing what we think is right for our business," he said. "Competitors will have to assess for themselves whether it makes sense to continue with the status quo." If others do follow GM, it could take years for the entire industry to move to quarterly reporting, much like it did to shift to monthly. For example, the former Chrysler Corp. eliminated 10-day reports in 1991; GM didn't do so until 1994. The change comes more than four years after GM stopped holding a monthly sales call with media and investors -- something crosstown rival Ford Motor Co. and others continue to conduct. Switching to quarterly sales reporting, Krebs cautioned, could lead to "less transparency" and "leave an information gap" for the industry, which could lead to unintended speculation -- particularly if some automakers follow GM but others do not. GM argues it is not being less transparent, as it will continue to report the same amount of information on a quarterly basis as it currently does monthly. The disclosed data includes total deliveries, brand and nameplate sales, fleet mix and inventory -- more than many of its competitors report. The company will also continue sharing J.D. Power PIN estimates for incentive spending and average transaction prices. GM's sales reporting for 2018 will be July 3, Oct. 2 and Jan. 3. -- already scheduled sales reporting days for the auto industry.